Power Solutions is our expertise and as such we can provide you with the perfect solution any time any where. Our broad range of Power Products allow us to build power systems from a few "Amps" to hundreds of "Amps". On our "LET US HELP you" section you can find a Rectifier Form to be completed and from there we can always put together "the" perfect solution. Please refer to our Power Products Page where you will find a broad array of product such as rectifiers, Inverters, Converters, Controller, Batteries, etc. 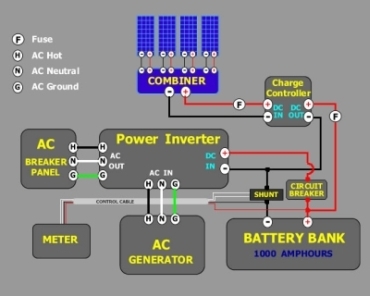 Alternative Energy Systems are now a day a great solution not only for remote unattended sites but also for those not that far sites as it is becoming more and more frequent the use of Solar Energy. This is due to energy savings purposes, oil & Gas prices and general Operating Expenses (OPEX). Completing and sending these forms to us will be the starting Point for us to help you put together the Perfect Solar Solution for your application. Please feel free to call us, e-mail us or simply e-mail these Form with as much information as possible to better understand and help you work on your case.